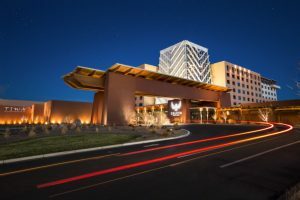 This milestone event themed “20 years of Tribal Tourism Development – Then and Now” was held in Albuquerque, New Mexico at the stunning, refurbished Isleta Resort and Casino. During the three-day event, attendees met and learned from dedicated and passionate people who have influenced AIANTA along the way and who continue to provide guidance on the framework needed to develop, enhance and expand tribal tourism. View the list of breakout sessions and download presentations here. During session breaks, the generous partners and sponsors of the 20th-anniversary celebration shared their skills and expertise in an informative tourism tradeshow.